There are good neighbors. Then there is Nabors Industries, Inc.
Nabors has ignored shareholder votes on the election of directors, say on pay and proxy access. 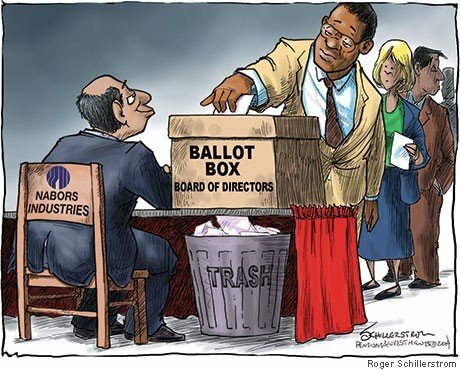 Not only this year, but for several years, Nabors’ board has acted in defiance of shareholder voting seeking to bring accountability and improve corporate performance. The lesson for shareholder activists: Do not relent on your long-term efforts on corporate governance reform. The cost of shareholder activism might deter institutional shareholders from becoming, or staying, active in corporate governance issues. But the cost of inactivity leaves investors’ holdings vulnerable to underperformance by companies unresponsive to shareholder concerns. Such underperformance, as in the case of Nabors, is far more costly to investment portfolios in the long term than the cost of engaging in shareholder activism. Pensions & Investments then goes on to recount how the proxy votes should have turned out board members, cut executive pay, allowed proxy access, and even changed the way votes are counted so that failure to cast a vote doesn’t automatically count as siding with the entrenched management and board. The Nabors Board, which is paid substantially more than average, ignored the shareowners who they supposedly represent. 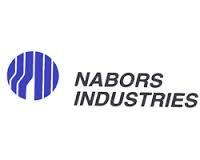 I don’t have an investment in Nabors but if I did, I would research their bye-laws. Companies headquartered in Bermuda, such as Nabors, normally have a default standard of majority voting and have one tier boards. Directors can be removed without cause by majority shareholder vote and shareholders may also fill the subsequent vacancy. Unfortunately, there is nothing normal about Nabors and all such powers are subject to the bye-laws. Nabors obviously has instituted plurality voting, a classified board and probably much more in those bye-laws. From my brief review, it appears shareowners have been filing non-binding proposals. It is time they shifted to binding resolutions. When Nabors are this bad, it is time to stop begging. Tie the hands of this impudent Board with binding bye-law provisions.